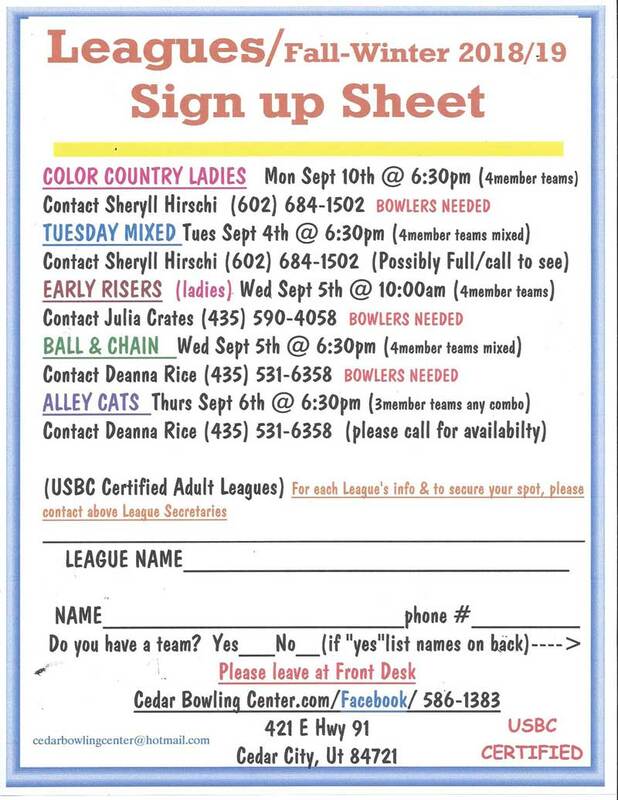 Download our Bowling League Flyer by clicking here. 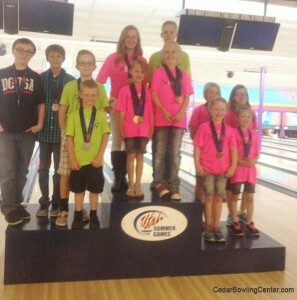 Download our Youth Bowling League Flyer by clicking here. 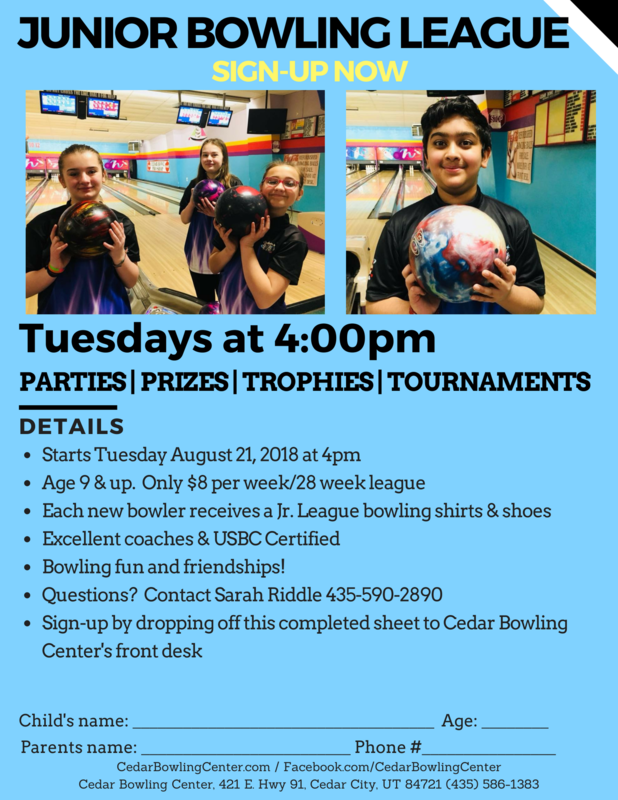 Everyone gets a $144.00 Cedar Bowl Gift Card. You can use this for bowling, in our Pro Shop or at our delicious grill. 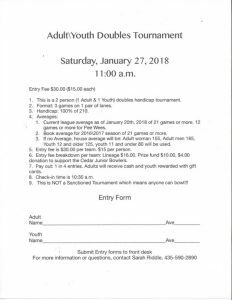 Join us for FUN! 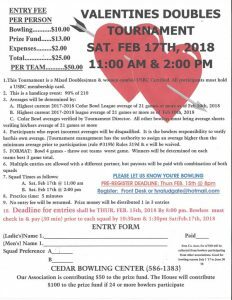 Join us on Saturday February 17th!! 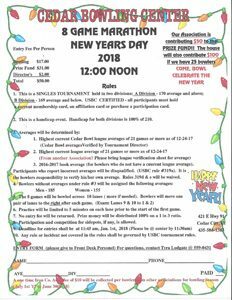 Join us on New Year’s Day for the first bowling tournament of 2018. 8 Game Marathon!